Faucet with Hand Shower is mounted on deck of the tub. 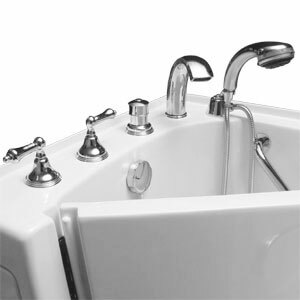 The hand shower is mounted using the hand shower cradle allowing the hose to hang inside the tub. 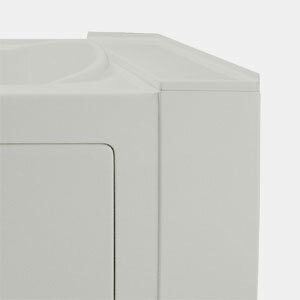 Molded into the tub and the extension panel is an integral tile flange. This process ensures a watertight installation between the tub deck and the surrounding walls. 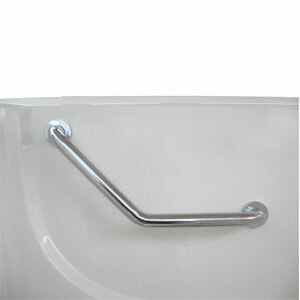 A polished chrome safety grab bar is installed on the back wall allowing the bather stability while maneuvering inside the tub. 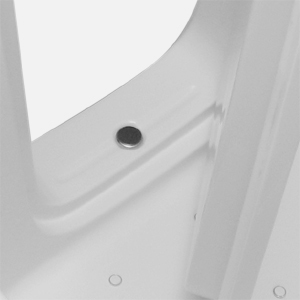 NOTE: the angled safety bar is only available on 3052, 3155D and 3260D models only. All other models will be straight. 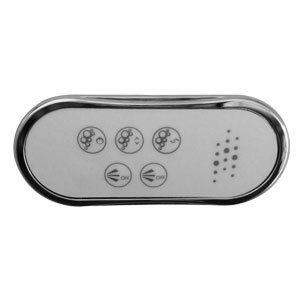 Activate the on/off electronic switches for the air massage and hydro massage therapy from inside the tub by the push of a finger. 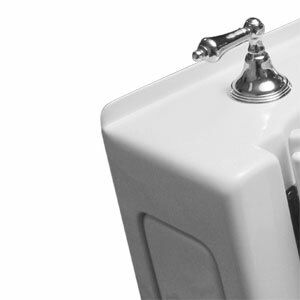 The cable operated bath waste & overflow allows the drain to easily open and close with a simple one-eighth turn of the contoured handle. Strategically placed are 20 individual air jets around the seat and floor generating thousands of heated air bubbles providing the therapeutic elements necessary for optimal relaxation. 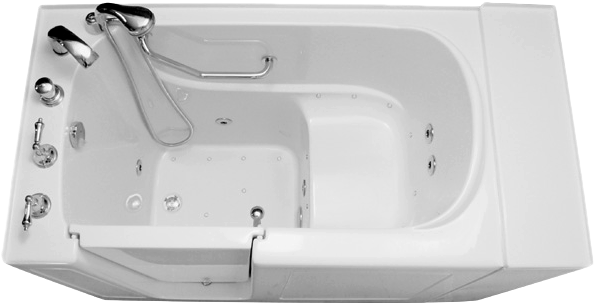 There are 5 adjustable/directional jets positioned in the tub. Two on the back, three in the foot well. 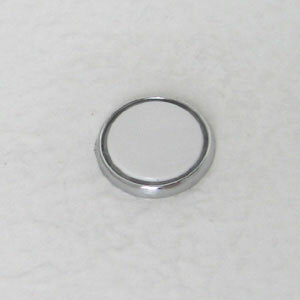 The pressure is adjusted by rotating the jet face to the left or the right, providing the right amount of pressure needed for the ultimate massage. The water flow can be turned off by adjusting the jet half way. 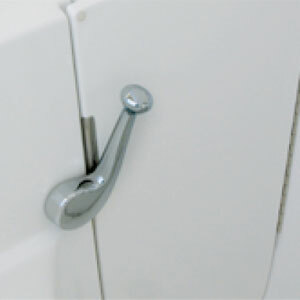 A critical feature of the bathtub is the design and location of the Door Latch. 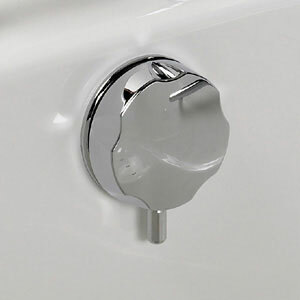 Its ergonomically shaped design and strategic placement allows the bather to lower and raise the latch with ease. 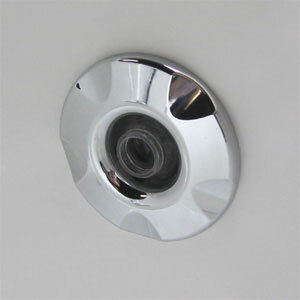 Water that may leak around the door seal will be captured in the Secondary Drain. This water will then be directed to the bath drain. 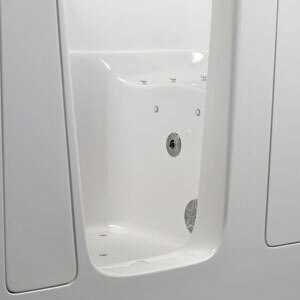 Multi-purpose flush access panels are standard on all tubs. 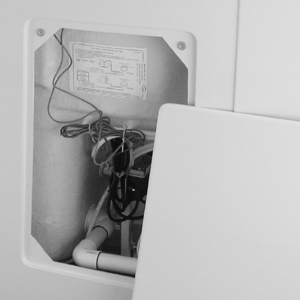 These panels allow the installer the necessary access while setting the tub, while also providing access for servicing the equipment. Our extension/filler panels increase the length to a full sixty inches, making it the right size for any standard tub opening.